(CBS/AP) BEIJING - Chinese state television has accused McDonald's and French retailer Carrefour of selling expired chicken products in separate incidents amid public anxiety in China over food safety. McDonald's Corp. and Carrefour Inc. issued public apologies Friday and said they were investigating the report by China Central Television. China is McDonald's third-biggest market, with over 1,400 stores throughout the country, according to Reuters. The report Thursday said a McDonald's restaurant in Beijing sold chicken wings 90 minutes after they were cooked while the company's rules set a 30-minute limit. The McDonald's store in question was shuttered temporarily, Reuters reports. It said employees at a Carrefour store in the central city of Zhengzhou changed expiration dates on some chicken and sold regular chickens as more expensive free-range birds. 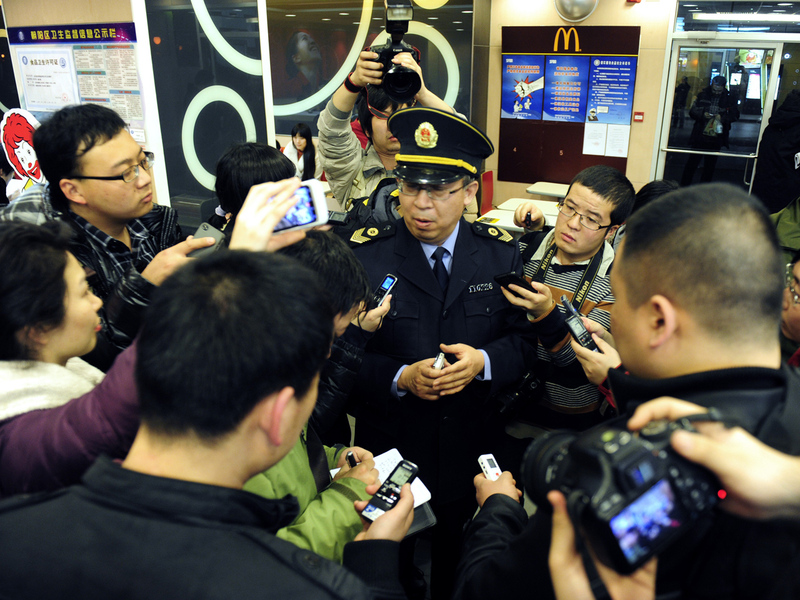 "McDonald's China attaches great importance to this. We will immediately investigate this isolated incident, resolutely deal with it earnestly and take concrete actions to apologize to consumers," said a statement by the U.S.-based restaurant chain on its website. Employees who answered the phone at McDonald's China headquarters in Shanghai said a spokeswoman was not available and declined to give any other details. "We will further enhance the training and take measures to ensure to earnestly implement the relevant provisions to safeguard the interests of consumers," said a statement on the website of Carrefour's China unit.